install in future for another project with similar or slight variations. created by the user for repeative projects. I like the idea of saved config files or templates, I will give this some more thought. and I am fairly curious about this product. I'm quite familiar with SIPs. They definitely have their pluses and minuses. They certainly aren't cheap but can be quite effective if installed properly. The key here is that contrary to the suggestion from Eco Panels that low priced labour can erect their product, there better be someone on site who really knows what they are doing. I have seen some bad installs (not Eco Panel's products) and the long term implications are quite serious. While I have been a promoter of SIPs in the past, I think there are easier and cheaper ways to get good R values. Models look high quality. 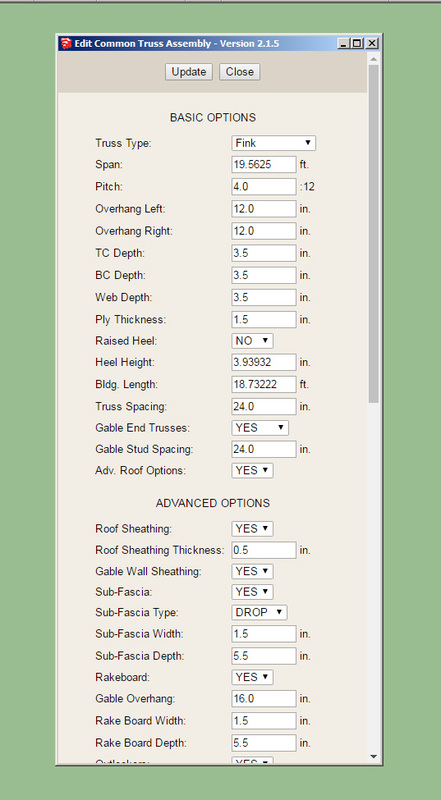 I hope you have ability for multiple Presets so that a type of roof that users use all the time can be saved. 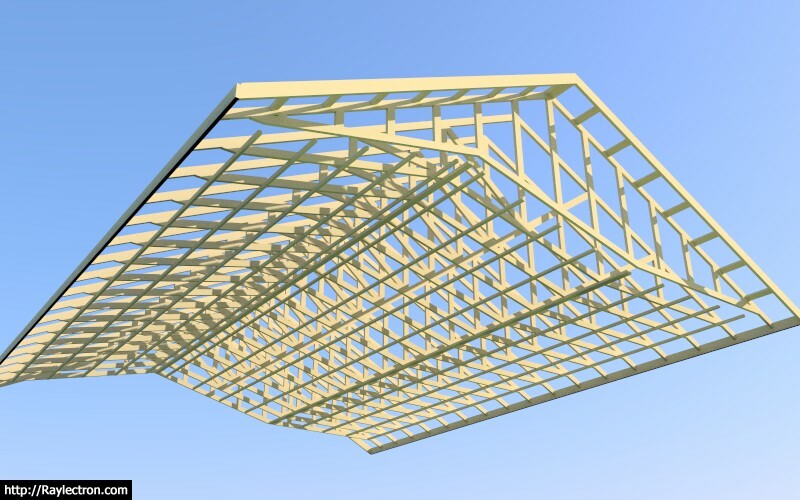 A number of presets can be set by the user in the global settings however I have not fully implemented a "store" function that will take an entire roof configuration and store it as a preset roof assembly. This may be another feature that I add. 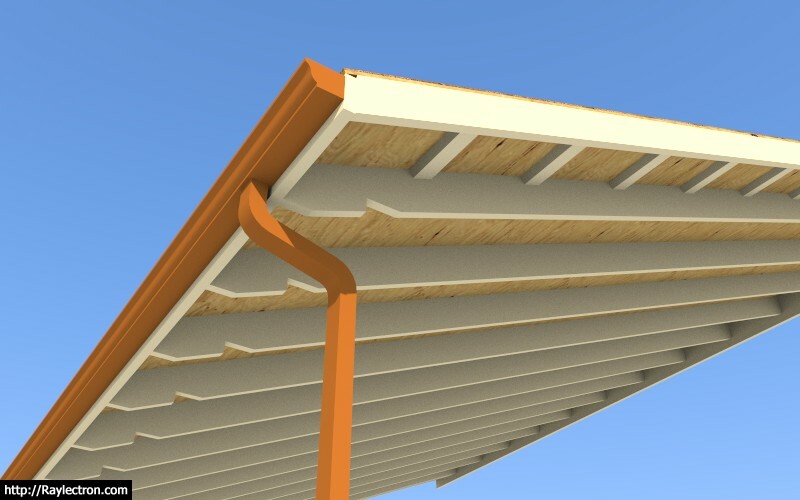 ..."take an entire roof configuration and store it as a preset roof assembly." I think this will be very popular, looking forward to this function! 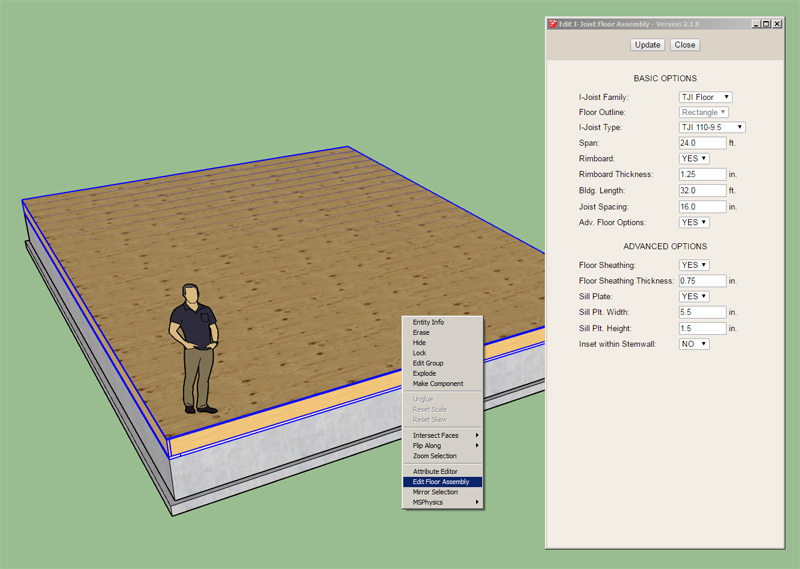 Realize that the entire roof assembly is being redrawn from scratch so any manual customization will disappear. It is actually quite a bit faster than I thought it might be so I’m fairly happy with that. I did notice that when you initially create a truss assembly without any advanced options and then enable advanced options in the edit panel it does not auto populate the various advanced option fields, I think this could use some attention. Not on your home website yet? 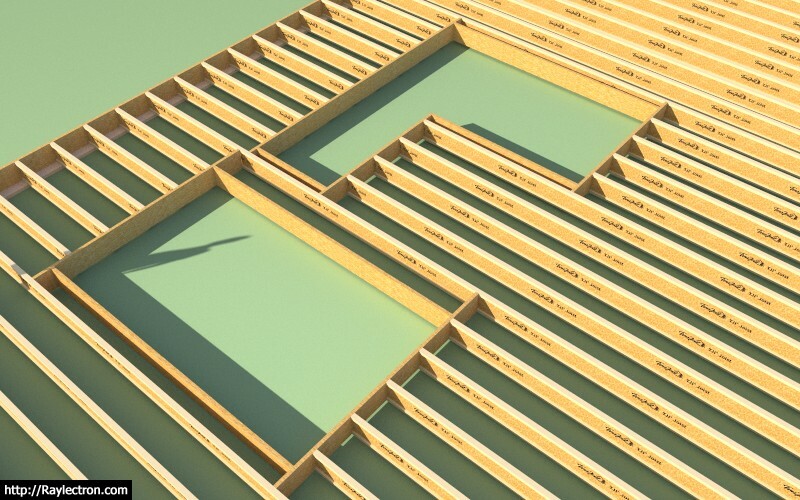 Here is an example of a L-shaped opening in a floor to allow for a stairway. Probably not the best example but I think it helps get the idea across. Note the bearing walls supporting perimeter of the opening. Last edited by medeek on Mon Mar 12, 2018 7:09 pm, edited 1 time in total. 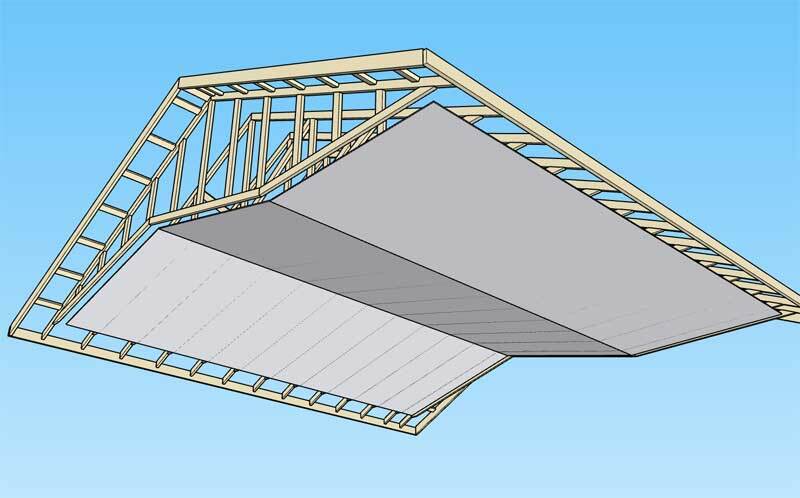 For the size of the opening one would probably use some PSL Beams rather than a couple of I-Joists but the concept is the same, compare with the previous example where the opening would probably be supported from below by bearing walls. 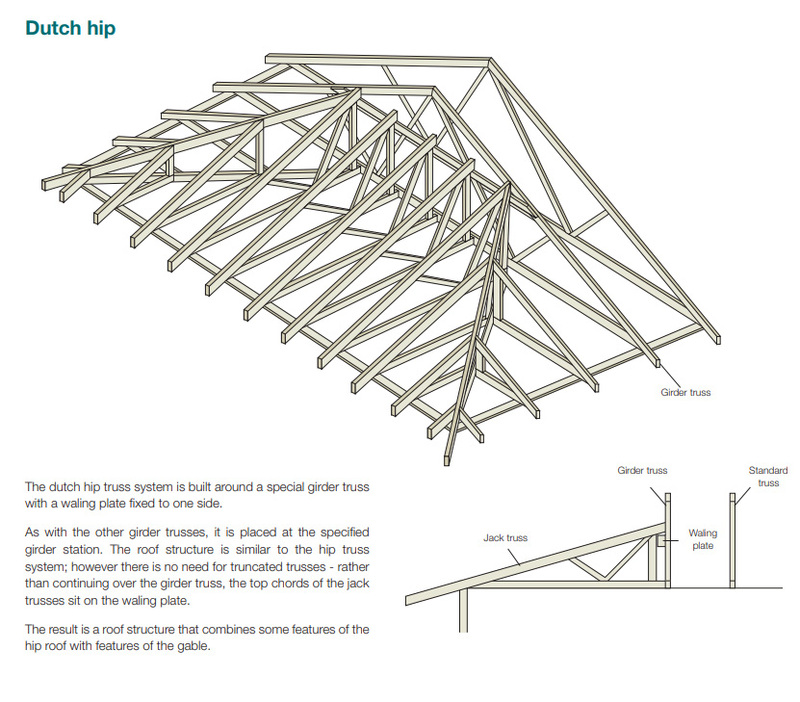 I am trying to get my hands on some shop drawings for a dutch gable truss set. I would like to work on adding this truss set into the plugin this weekend if possible. 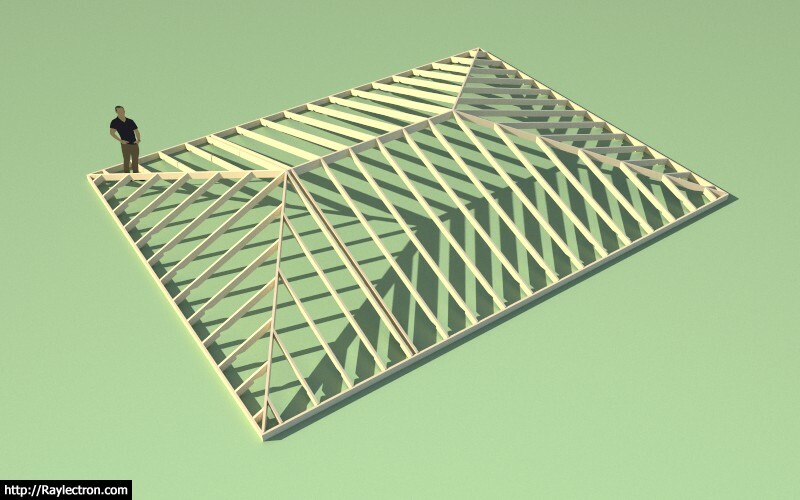 With regards to polygon shaped geometry I've already done the heavy lifting when I programmed the foundation plugin to generate polygon shaped layouts (slab and stemwall). 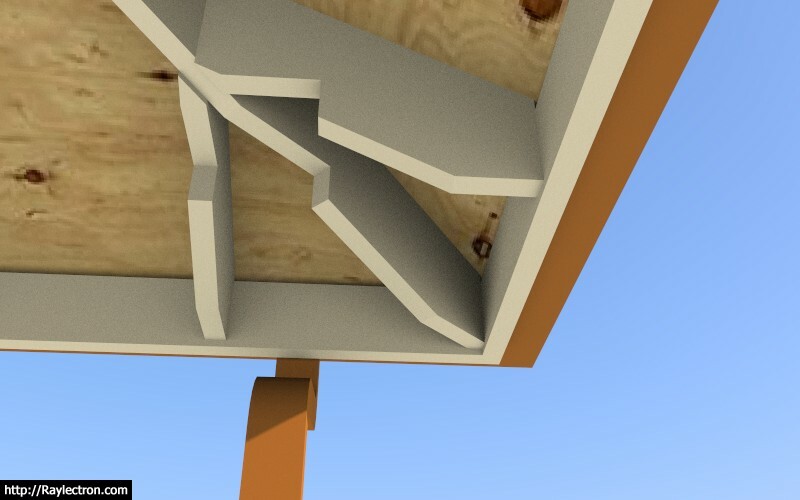 The details in trimming the joists is also mostly figured out since my rebar and mesh routine for slabs utilizes a function that will form the basis for this function. It is really just a matter of finding the time and then digging into the code deep for a solid 12+ hour period (uninterrupted). The first thing that jumps out at me is the jack rafters do not line up when the pitches are different. Also if the overhang is the same and the fascia is the same height then the top plate will be a different height for the different pitches. Yeah irregular pitch roofs are kind of tricky. They occur nevertheless. That'll be neat! 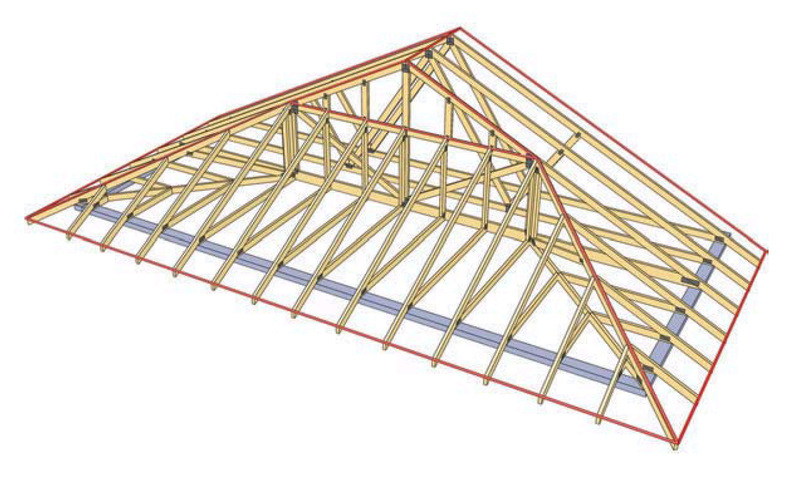 Just a quick question (or two), are all existing options/functions (as relevant) ready and implemented across all truss types? Manual?